It’s impossible to classify this album under a neat, little genre. The majority of the songs borrow from some form of r&b whether it be 60s baroque pop, 70s Stevie-Wonder style motown or 80s funk. However, interwoven in between are orchestral suites, rapped verses and epic guitar solos. In fact, it’s difficult to think of a genre that doesn’t feature somewhere on this record. 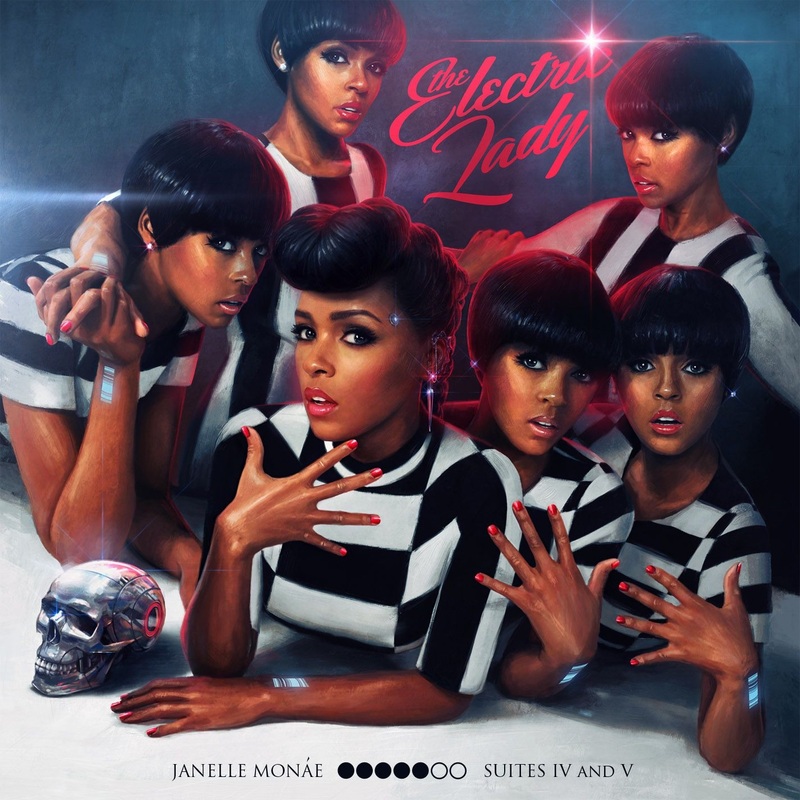 On her second album, underground female singer, Janelle Monae plays the character of a futuristic android trying to free the universe from close-mindedness. Apparently, the album has a plot but I didn’t really follow it to be quite honest. I don’t think Janelle takes herself at all seriously as demonstrated by the comical robot radio station skits peppered throughout the album. However, several of her verses can carry a poignant social message. The fun, light-hearted tone stops them from coming across as too preachy. The most impressive thing about this album is Janelle’s vocal diversity. She seems to be able to mimic multiple artists from little MJ’s vocal tone as he sounded in the Jackson 5 to the classy, smooth cadence of Dusty Springfield. The sheer amount of talent this girl has leads me to believe that the robot persona isn’t actually an act. No human being should be able to deliver such a vocal range. Having never heard material by Janelle Monae before and having expected a rather plain pop album, I was blown away by this release. There’s very little I can criticise on this LP other than the confusing storyline. It’s fast-paced, creative and very fun. I suppose it could be argued that there’s too much retro on this album to keep it current. Then again, I’d argue the old r&b is far superior to the new. Besides, retro seems to be in fashion in these days. You only have to look at Daft Punk’s disco vibe, Robin Thicke’s neo-funk and Disclosure's old-skool house style to realise that.